Metta Spencer, President, Science for Peace and Professor Emeritus, University of Toronto, organizes a free lecture series every year, called Vital Discussions of Human Security. This year, I’m one of the speakers. Here are the details. Two hours means plenty of time for discussion – please join us. For details on the full lecture series, which runs from September 13 through April 4, 2013, please click here. The series is co-sponsored by University College Health Studies Programme, Canadian Pugwash Group, Voice of Women for Peace, and Science for Peace. The lectures are all free of charge, and promise much food for thought. 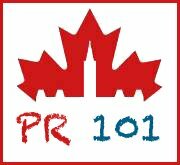 As part of Democracy Day, we invite you to attend PR101. We’ll explore the flaws of our current voting system, and introduce you to various forms of Proportional Representation. PR is the most common electoral system in the world, because it guarantees that all votes count, and that all voices are heard. We’ll look at models including Regional List, Mixed Member Proportional, and the Single Transferable Vote. We’ll also give you insight on how politicians adapt to a PR system. If you want to become an advocate for democratic renewal, this is the place to start. The Green Party will be in the parade, starting at 11am, from High Park, and among the speakers, I’ll be bringing greetings on behalf of Elizabeth. 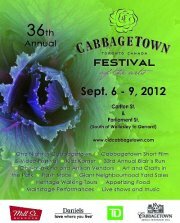 On Sunday, September 9, we’ll be at our Green Party table, looking forward to chatting with you – please stop by.